Has your “honey do” list been a “honey don’t” this year? It happens to the best of us. That doesn’t mean, though, that you can’t turn that list around and accomplish some great updates in your home that will help make it more marketable come spring selling season! 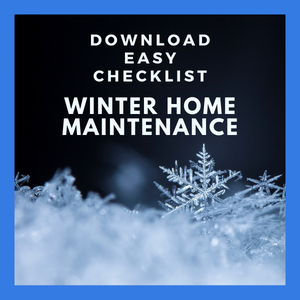 Right now, we’re about a month into winter, so if you’ve got projects you want to finish before selling your home, then use the frozen landscapes and icy temperatures as justification for tackling those indoor tasks. Not sure where to begin, but know your home needs a little extra love and care to get it listing ready? We’ve got plenty of suggestions for that! Before you make any major investments in your home, though, consider first starting with easy indoor DIY projects that you can complete either alone or with a spouse or roommate. What you don’t want to do is make an expensive upgrade that won’t translate into either a higher market value or appraisal. If you upgrade beyond what your neighbors have done, then you may not see the return-on-investment that you need to realize. A good real estate professional will be able to explain how the principle of conformity applies in your situation when he or she runs a search on comparable properties for market value in your neighborhood. But before you start anything big, consider these three easy indoor DIY projects this winter, listed in order of priority for what home buyers look for first in a home! Upgrade the cabinets from construction grade to custom. This is a full weekend-long project where you’ll paint your cabinets and install hardware. You can refinish your cabinets, but that’s a tad more intensive, and doesn’t fit quite so neatly in the “easy” DIY project category. My neighborhood has gone nutty over this tutorial on Lowe’s, and several of our neighbors have posted their finished kitchen pictures in our Facebook group, so we’re going to have to step up our game and get ours up to par this month, too! A paint kit and hardware for your kitchen will likely run about $300. Fancy up the bathroom mirror. Want to get rid of that wall-mounted eyesore? Make sure to wear eye protection and don’t tackle this one by yourself when you pry that baby off the wall (gently does it!). Repair the drywall by scraping off residue and then applying drywall patch and a primer. Wait until the primer dries, and then add a cute mirror (or a his and hers!) above. Check out Overstock for some good deals on stylish mirrors. 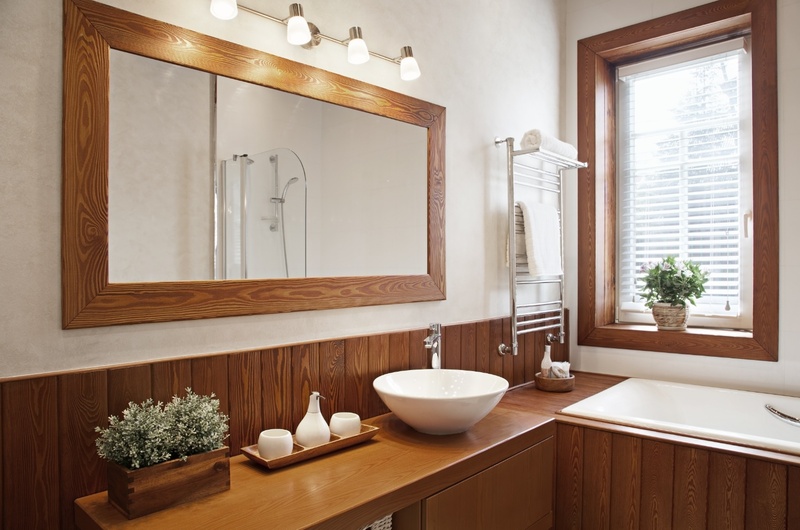 If you’ve still got room in the budget, switch out the big bulb light fixture for something more muted and elegant. Shopping around should help you score two stylish mirrors and a new light fixture for under $200. This is great bang for the visual buck. When you’re struggling with getting the mirror off the wall, just think of the pay-off in the photos for your home listing! Functional indoor space is an increasingly critical component in home searches, particularly for military families relocating to areas where space comes at a premium. If your home is short on space, and especially if it’s either short on space in the kitchen or lacks a pantry, then this project is a must for you. Look for places where you can add built-in shelving that you plan to leave for your buyer. This tutorial on The Wood Grain Cottage shows an easy way that you can add shelving for simply the cost of some lumber and nails. If you don’t want to make your own brackets, you can purchase these inexpensively either online or at home stores. Does your family have an indoor DIY project to tackle this winter? Share with us in the comments below or on our Facebook page!